This princess door hanger is great for a girly girl who loves princesses and all things pink and pretty! It will look really cute on her door and she will love receiving it as a gift. The door hanger is double sided so is very thick and robust. 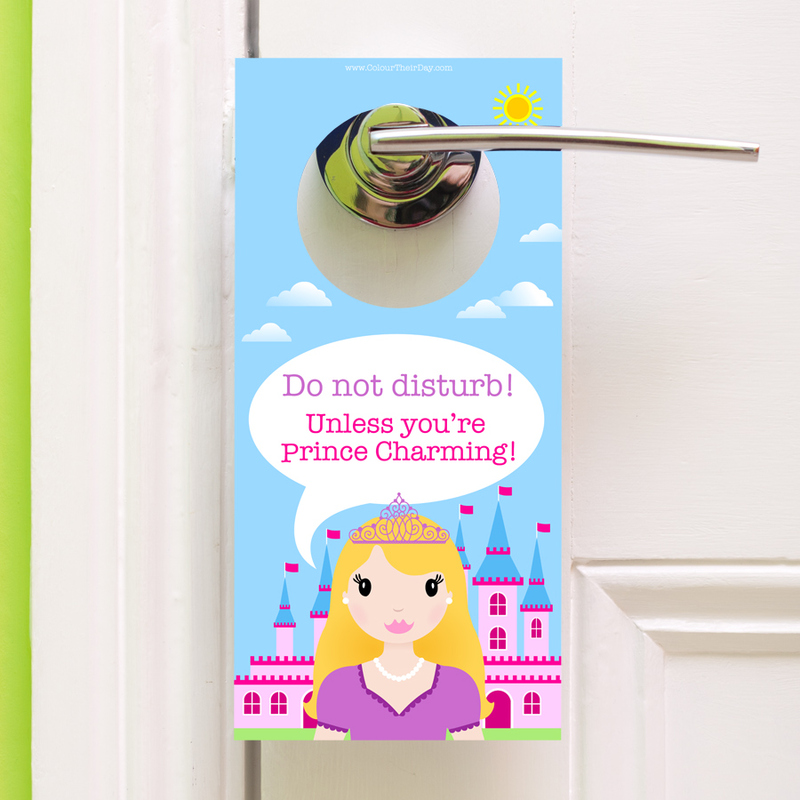 The design features a beautiful princess, with the text ‘Do not disturb! Unless you’re Prince Charming!’ on one side and ‘Please enter! You shall go to the ball!’ on the reverse side. The child will have lots of fun deciding which side of the door hanger to show on their bedroom door! 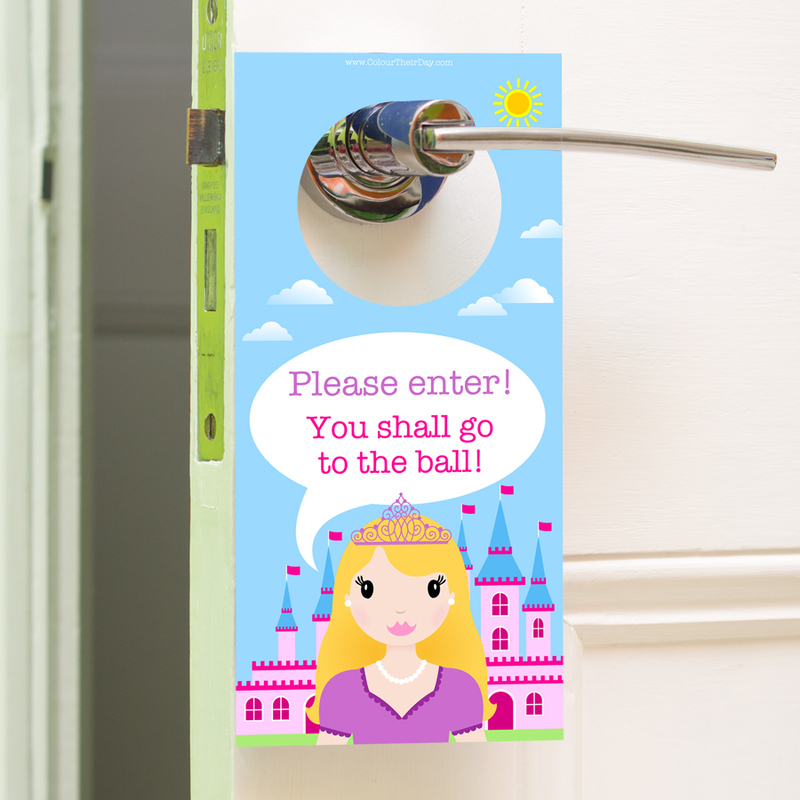 Be the first to review “Princess – Double Sided Door Hanger” Click here to cancel reply.